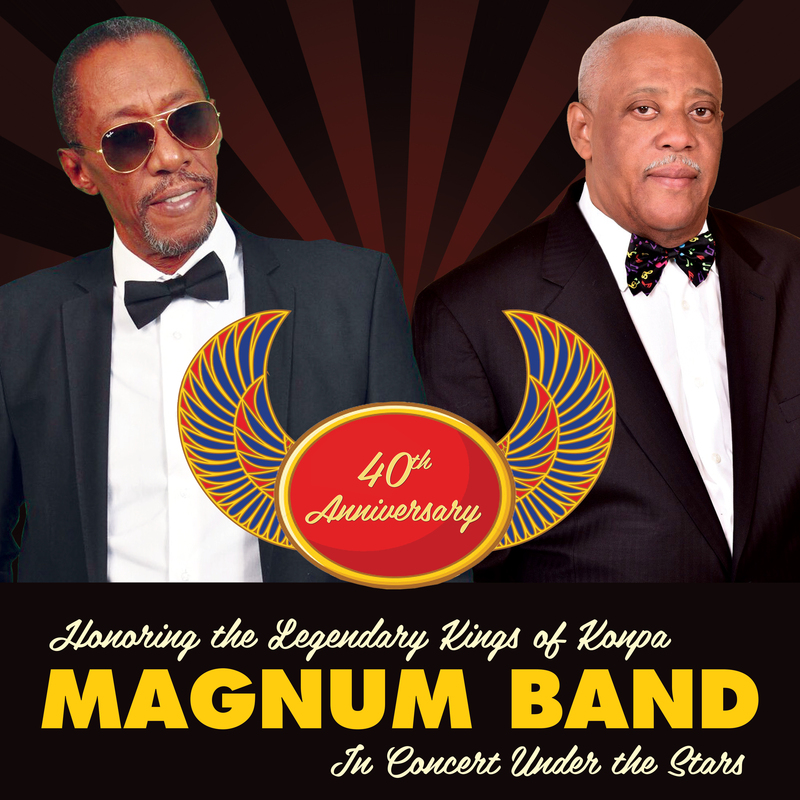 Konpa legends Magnum Band are celebrating their 40th anniversary with a concert under the stars. Advance tickets are $27 in advance, on sale at area shops or online here. Led by guitar master Dadou Pasquet and brother Tico Paquet on drums, Magnum Band is one of the longest running, most enthralling musical ensembles Haiti has ever produced. Founded in 1976 in Haiti and based in the US since the 1980s, Magnum Band has been developing the classic konpa sound for 40 years, with blazing guitars, jazzy horn arrangements, sophisticated phrasing, and socially conscious lyrics – an explosion of diverse beats and rhythms anchored in Caribbean culture. The band has been celebrating their anniversary with concerts at top venues in Paris, New York and the Caribbean. Now come enjoy Magnum Band live in concert at the North Beach Bandshell in Miami Beach! This concert is presented by The Rhythm Foundation.